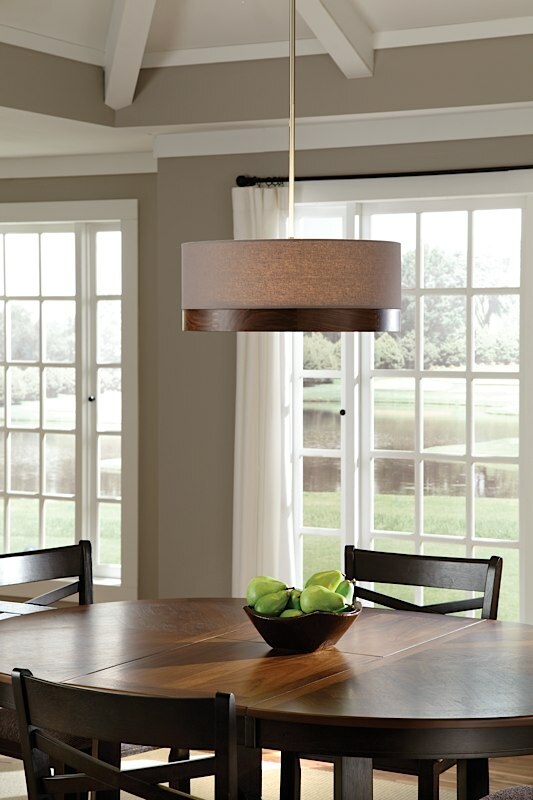 Topo Drum Pendant Gray - Antique Bronze | 24"
Other Size & Finish Options Antique Bronze | 36" Antique Bronze | 48" Polished Nickel | 24" Polished Nickel | 36" Polished Nickel | 48" Satin Nickel | 24" Satin Nickel | 36" Satin Nickel | 48"
The Topo takes the popular drum pendant design to a new level! 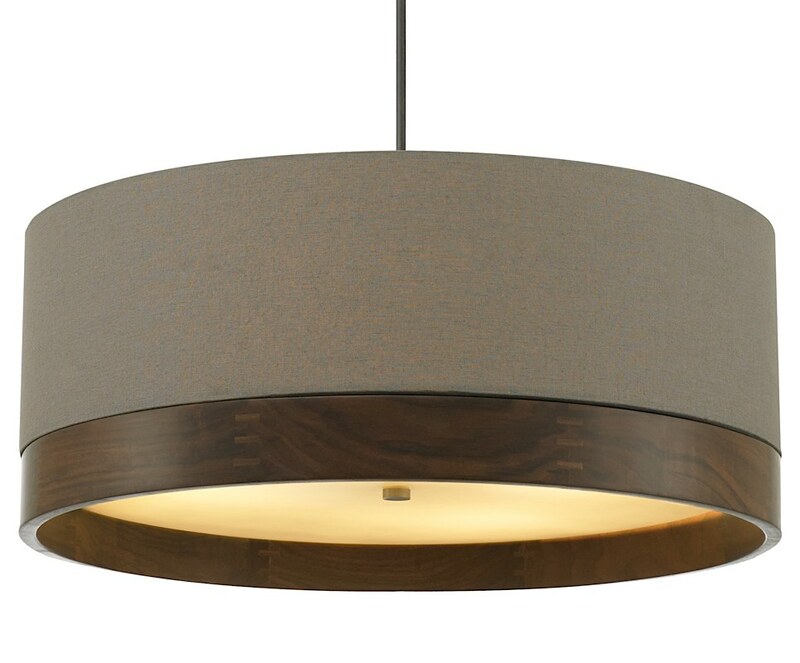 Its unique contemporary look is acheived with a combination of its heather gray fabric shade and walnut wood trim. Perfection for any modern living space. The rigid stem is available in antique bronze, satin nickel and polished nickel finishes and adds just the right detailing. The stem drop is available in 24", 36" and 48". Also available with a maple wood trim. Please inquire for that option.